In December 2014, my research into Burr Zelah Dornon's death expanded to include all of his children. Perhaps the collateral ancestors would shed light on his passing and burial. As I snooped into Burr's descendants, I discovered that his daughter Lucinda copied a page out of his book and also disappeared from history (see Lost Lucinda: Like Father Like Daughter). She marries Levi A. Stanley on June 11, 1899 in Gove County, Kansas. This was Lucinda's second marriage following the death of her first husband Sylvester Scannel in a Kansas prairie fire in March 1893. 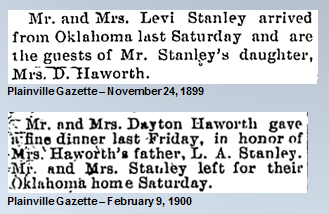 On November 24, 1899, she and husband Levi make the society pages of the local newspaper in Plainville, Kansas. 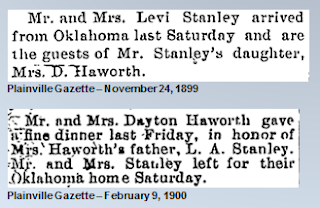 The gossipy piece tells us that the Stanleys are in town from Oklahoma visiting Levi's daughter from a previous marriage. On February 9, 1900, they appear again in the society pages of the Plainville newspaper. Mr. Stanley's daughter hosts them for dinner before Levi and Lucinda return to their home in Oklahoma. On June 12, 1900, the Stanleys are enumerated in Stella Township, Woods County, Oklahoma Territory. 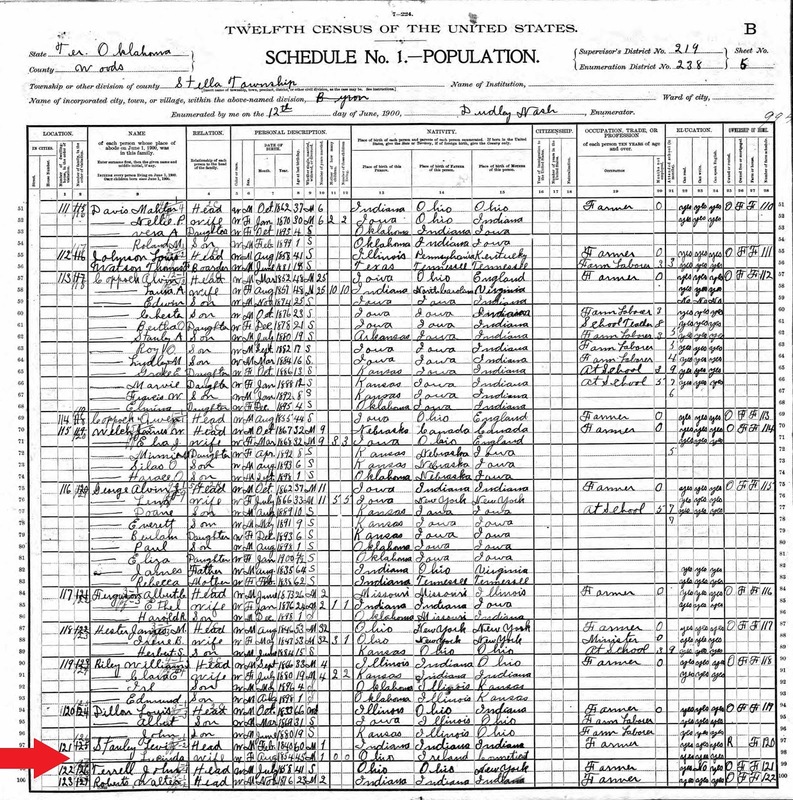 After this census, I couldn't find records for Levi or Lucinda. 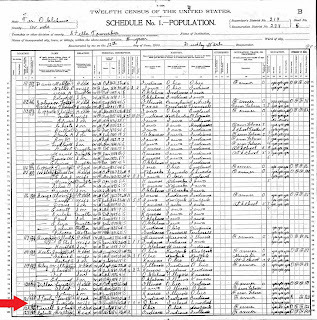 At least not until Ancestry.com released probate records this week for Oklahoma. A search for the Stanley surname turned up a series of documents for Levi in neighboring Alfalfa County. On December 14, 1916, a guardianship case was brought before the county judge by a group calling themselves the "Committee of Friends Church Cherokee." In their guardianship filing, they make the case that Levi Stanley is not physically able to care for himself. "Levi Stanley lives alone, and is old and bed-fast, and has no one to care for him. That owing to his physical condition he is unable to care for himself or to manage his business." The guardianship case quickly fizzles and gives way to probate proceedings when Levi Stanley dies two days later on December 16, 1916. Throughout his lengthy probate record, I saw no mention of Lucinda. Did she pre-decease him? Documents from Levi's probate file hint at where he was buried, and may also provide clues to Lucinda's final whereabouts. 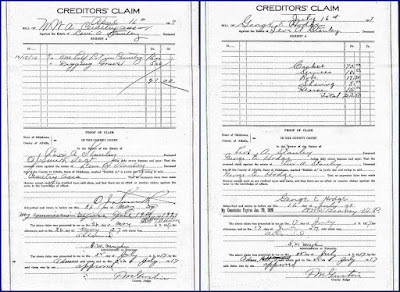 In the settling of Levi's estate two invoices are submitted for payment including a bill for his grave and burial ($21), and his casket and funeral expenses ($122.50). 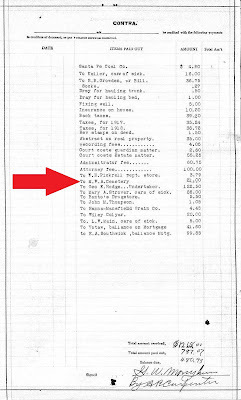 The final reconciliation of his estate's expenses includes a $21 line item to M.W.A. Cemetery. What was M.W.A.? There was no obvious match in my precursory review of Alfalfa County cemeteries. A quick Google search turned up a RootsWeb message board where one user identified the cemetery as the Modern Woodmen of America Cemetery. Another user indicated that the cemetery's name was changed to Cherokee Municipal Cemetery. Cherokee Municipal Cemetery is on FindAGrave, but there was no existing memorial page for Levi Stanley. Perhaps there was no page because Levi's grave is unmarked. 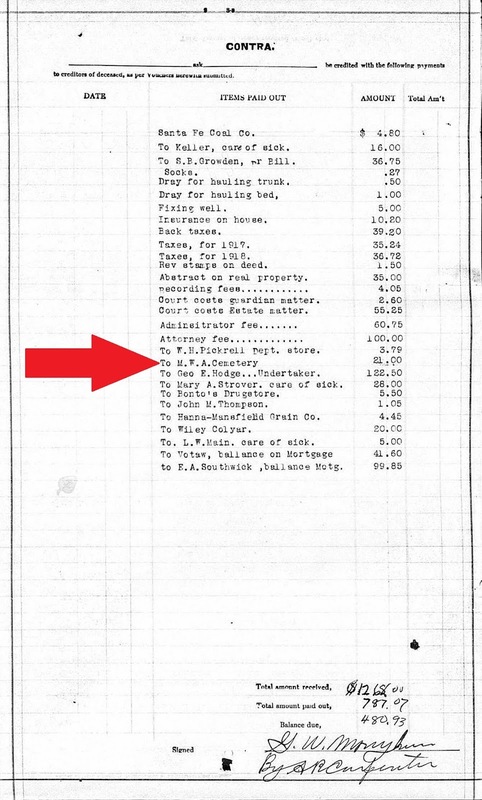 The probate file's many invoices never indicated that a headstone was purchased. 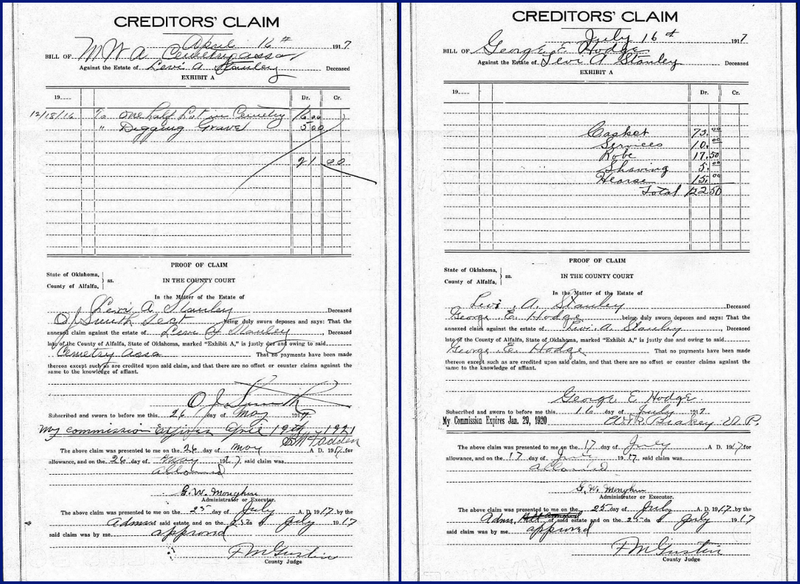 Regardless, the probate records suggest that Levi Stanley was buried in the cemetery. I've created a FindAGrave page to mark his likely burial location. If Lucinda did in fact pre-decease Levi, can I infer that he was buried beside his wife? That's my working theory thanks to the breadcrumb trail left by Levi's probate record. My next step is to reach out to Alfalfa County to see if there are existent cemetery records that confirm Lucinda's burial. To be continued.